The very first thing that people notice about Limousin is the similarity that it shares with the popular luxury vehicle. Which leads many to ask the question whether the car did originate from this region of France? The answer is a no. But there is another product that shares the region’s name – Premium quality beef. Trivia for those who like to indulge in quality food. This is one of the smallest regions of France, in terms of population as well geography. The majority of this region is rural. This has allowed Limousin to be famous for its cattle meat, not only in France, but throughout the world. And because of the greenery that surrounds the region, it has also become a prime location of French Oaks. The groves of which are used by the renowned vintner brand, Rémy Martin. The association between the brand and the region dates back more than 100 years. They have exclusive rights to the oak groves. Limousin fits the ideal of a rural retreat perfectly. The region offers breath-taking sights which you can indulge at leisure, and more importantly, without any interruptions. There are vast farm fields, stretches of wooded forests, and three major rivers – the Vienne, the Dordogne, and the Charente – that punctuate the region. The beautiful synergy of water and greenery offers travellers a variety of spots where they can simply relax and forget the world. For a region that is drenched with forests and farm lands, getting to Limousin is, surprisingly, not that difficult. It is well connected by a rail network from Paris, by motorways, and even by an airport. It may surprise you to know that there are international lights from the UK and Belgium that land at the airport. Limousin is more than just a rural landscape. There are majestic castles, ancient monasteries, eccentric city centres, and even adventure sports. 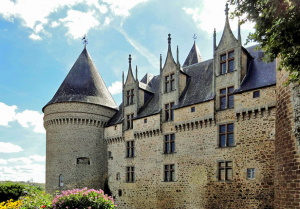 If you enjoy viewing the architecture of a region, you must visit the Rochechouart castle, an impressive piece of architecture. Then there is the Beaulieu sur Dordogne, a beautiful church. If you like to add a bit of adventure, you can hike, ride bicycles and engage in other outdoor activities in the Limousin highlands. One thing that we can say for sure is that this region has more surprises than you can imagine.